Strong and smart women are no stranger to Ross — women from our programs have a history of making a difference, from being a founding sponsor of the Forté Foundation, to being named among the most powerful women in banking, technology, marketing, venture capital, and more. 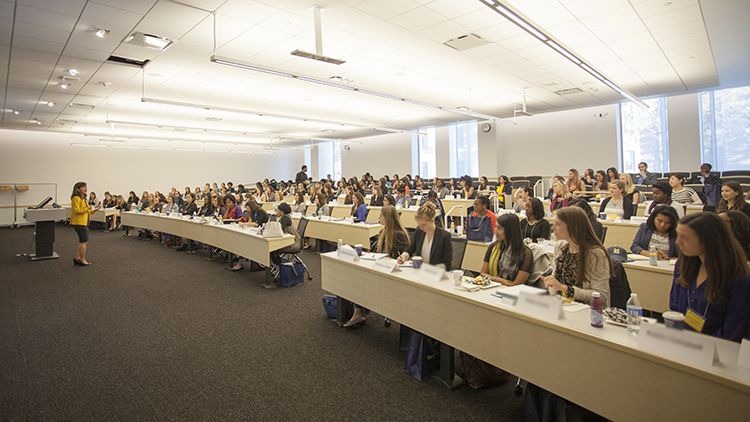 The women leading MBA clubs this year at Michigan Ross hail from some of the biggest, most impactful companies in the world (Bain, Girls Who Code, Apple, Nielsen, Procter & Gamble, L’Oreal, Google, Amazon, and more), and they stand to make a big impression with their leadership. "I am excited to lead the Finance Club because I want to make sure students from all backgrounds know that they can be successful recruiting for corporate finance and investment banking positions,” Cantwell said. Thank you to these incredible leaders for giving life to the Michigan Ross community! Go Blue!